1. Bryan Smith, please shoot the basketball when you touch it. 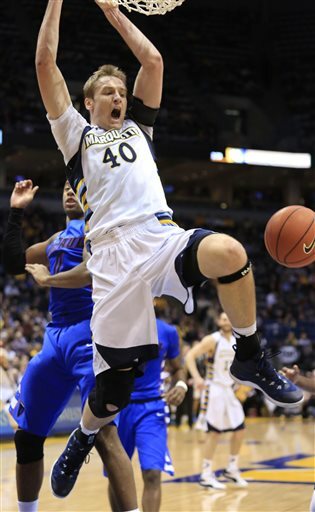 On Saturday before fouling out in St. Louis, Bryan Smith hit 3 three point shots and finished with 9 points. The Junior has only been averaging 6 points a game this season and his play on offense has been hindered due to foul trouble on defense and shot selection on offense. #24 can’t continue to question his decisions when he has the rock in his hand. He has to pounce on the open jumpers given by defenders and make the shots he has decided to pass up. He needs to stop driving to the hoop and expect to pass it out to an open shooter like Mandell Thomas or Jon Severe. Instead of being unselfish, he needs to be more selfish and take the jumper to create more confidence in that shot. If he can become the third scoring option, it will take the pressure off Severe on putting up 20+ shots and Branden Frazier from having to do everything on offense for this team. 2. Rams need to move on offense. This offense during the losing streak only comes to play once they have put themselves in a big hole. On Saturday, the Rams offense looked like they called isolation on each possession and each player on the floor was looking at the ball handler waiting for them to do something. The 5 players on the court need to execute back screens, the guards constantly need to switch sides to confuse defenders, and this team needs to set teammates up for favorable matchups. If that means going 10+ deep on the bench, so be it. The more effort this team puts on executing each possession, the better the result will be on the scoreboard. Moving without the basketball is just as important as having the rock in your hand. Good teams know how to execute offensive sets. 3. Rotate and communicate on defense. Fordham’s maroon and white defense has been taking a hit ever since the 10th game of the season. We have yet to see if they can last going man-to-man and I don’t know if a box-and-one would work either. All I know is that the communication needs to be there and the effort of staying in defensive stance needs to improve. Too many times do the Rams give up easy baskets in front on the rim just after a simple ball screen at the top of the three point line. The guards need to continue to play better on ball defense to prevent dribble penetration so the bigs don’t have to step in front which will force a wide open 3 point shot from the wing. Too many times, the defense is lazy with their hands which makes them lazy with their feet causing for poor rotation and great result from their opponent. I hope Fordham has fixed that in practice and fans see a better effort tonight. 4. The Senior needs to come and play. Branden Frazier put up a goose egg in his last game against St. Louis. 22 minutes of 0-10 from the field finishing with 0 points and 3 turnovers. I know this was a fluke for the Senior guard who has 1,381 career points as a Ram. 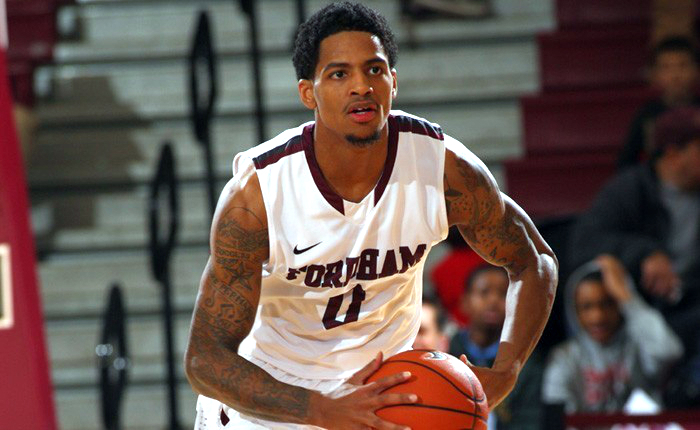 If Fordham wants to beat this Patriots team #0 will need to stop fellow senior guard Sherrod Wright from Mount Vernon, NY who is second on the team in scoring and who wants to put on a show in front of his family in attendance. I expect Mr. Frazier to get to the free throw line and attack the rim as much as possible. He is an 86% free throw shooter from the line this season. Basketball is all about toughness. At the end of the game, the team who makes the hustle plays will come out winners. Over the last 5 games, the Rams have only taken 2 charges (1 Jake Fay, 1 Khalid Robinson). As often as Fordham allows opponents to get to the basket for easy layups, the bigs should shift over and give up their body to force a turnover. 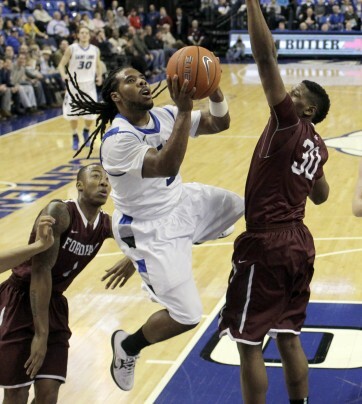 Instead, the help defense has been late and the opponents get easy baskets. The only way this team wins this game tonight is if the hustle stats show up in the box score (steals, blocks, rebounds, points in the paint). If the Rams had a “no easy layup policy” for visiting teams, they would win every single game at home and show future opponents on the schedule that it would be tough to put the orange in the basket when it’s their turn to come to the Bronx. 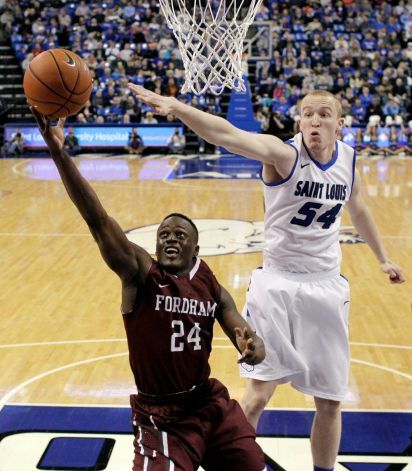 When that toughness comes, Fordham will be moving up the standings in conference. The Sports Cycle’s Donnie Dwyer is at the Rose Hill Gym as Fordham Men’s Basketball team fell to Richmond 77-74 in overtime. Branden Frazier led the Rams with 29 points, Jon Severe added 19, and Ryan Canty got his first start grabbing 11 rebounds and scoring 7 points. The Spiders were led by Cedrick Lindsay who had 19 points and Kendall Anthony added 13. Rams host Dayton on Wednesday night. The Sports Cycle’s Donnie Dwyer covers the Rams 94-86 loss to Crimson at the Rose Hill Gym. Branden Frazier led the Rams with 31 points and 7 assists, Jon Severe had 27 points in the second half, but Harvard shot 56 percent from the field and made 9 three point shots as they win 94-86. 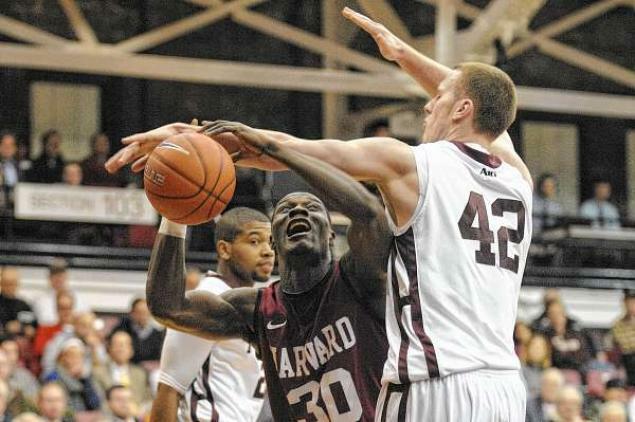 It was Harvard’s first time scoring 94 points since they played Daniel Webster back in 2008. 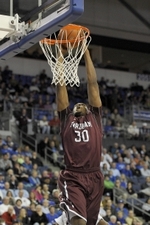 The Sports Cycle’s Donnie Dwyer covers Fordham’s second win of the season at home against Lehigh. The Rams got double-double performances from Branden Frazier and Mandell Thomas, grabbed 52 rebounds, and forced the Mountainhawks to shoot 13 % from 3 point range.